I'm not too sure I like the word "minister" as an occupational description. I think it's inappropriate to label the guy or girl in the front of the church as "the minister." Everyone and anybody who is a follower of Christ and indeed anyone who is created in the image of God (that's everybody) is or is called to be a minister (i.e. one who ministers to the people around them and embodies Christ in the world). I am simply one who shares, one who teaches, one who preaches, one who visits, one who empowers and ministers to my fellow ministers in and around our gathering and our worshiping. I don't believe that I am any more "set apart" than a plumber, a construction worker, an elementary school teacher, someone who's unemployed, someone who likes to play video games, someone who doesn't know how to read, a rodeo clown, a firefighter, a nurse, an accountant, or a gymnast. I am no more "called" than anyone. I am simply "called" to dedicate my time and energy to leading and empowering the Church. I am called to "pastor" and to vision and to create space in which people can be empowered and sent out to be ministers in their own world. Our identity and our actions are always dancing together. It's part of everyone's identity (their true identity) to minister (just by being themselves) to those around them. The identity looks different in everyone but is always a reflection of God's image. It will be expressed in action differently for everyone but everyone's actions, when they are in tune with the heart of God, will be a reflection of their identity... even if it means painting walls or laying concrete. If it is what you love, and it is done from a heart that knows God's love, then it is and will be ministry. It just so happens that my expression of ministry, my expression of my identity (not that there is only one expression thereof) is directly related to a building and a community and an institution we also refer to as "church." But Church is not just that thing we do on Sundays and maybe also on Wednesday nights. Church is the business of God's people wherever they find themselves. Church, therefore, happens in the classroom, it happens in the office, it happens whenever and wherever God's people live according to God's imagination and express a culture that transcends culture--The Kingdom of God. When we gather, though it is vital to do so, it is no more "church" than what has happened throughout the rest of the week. Here we might need to distinguish "church" from "gathering" or "worship." 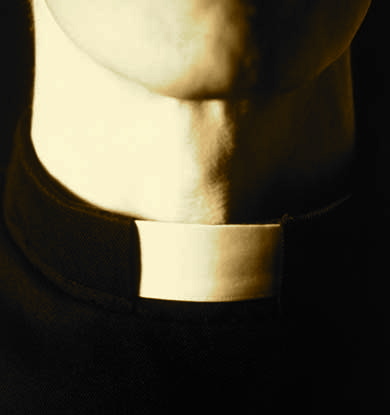 My vocation as a pastor is no more ministry oriented than your vocation should be. My vocation, though it may be more directly oriented around our gathering and our worship is no more oriented around ministry. But in the end, no matter what you expression of ministry looks like, God is not interested in how well you do stuff. God doesn't care how good you are at preaching, teaching, caring for the poor or the sick, or how pretty your church bulletins look. God is interested in YOU! God doesn't care to be known as a function or a unit of production. That's why when Moses asked "who are you?" hoping to get a response like, "I'm the god of ____,"God's response was "I AM who I AM." God doesn't care to be known for what God does and God doesn't care to know you for what you do or how well you do it. God just cares to know and be known by YOU, just as you are not as you should be. God's not going to say to you, "why were you not Rob Bell?" or "why were you not Mother Teresa?" God's gonna say "why were you not... you?" God just wants you to be you. So when you discover who you is, you'll be as much a minister as any pastor or preacher or hospital chaplain on Earth. With a post like this, you should join the Plymouth Brethren :-)... except for that whole dispensational thing. In all seriousness, great words. Even though we may try to ignore it, there is a vocational hierarchy in our culture (I would venture to say most all cultures), and I think these identities are something we all have to deal with. Interesting thoughts on calling Wes. I like the empowering message.